New International Scout 800a models emphasize power, performance and styling to make the 100-inch wheelbase vehicle equally suited for commercial as well as recreational applications. a193-HP. V8 engine is available for the first time with all-wheel drive scouts, and a new transmission offers a choice of automatic or manual gear selection. as shown, basic exterior lines remain unchanged but the all-steel, full-length travel-top (above) has been redesigned to feature an additional 84 square inches of viewing area. new with 800a models is the safari: type convertible top (below_ made of a vinyl-coated, pre-shrunk fabric and available in either black or white. 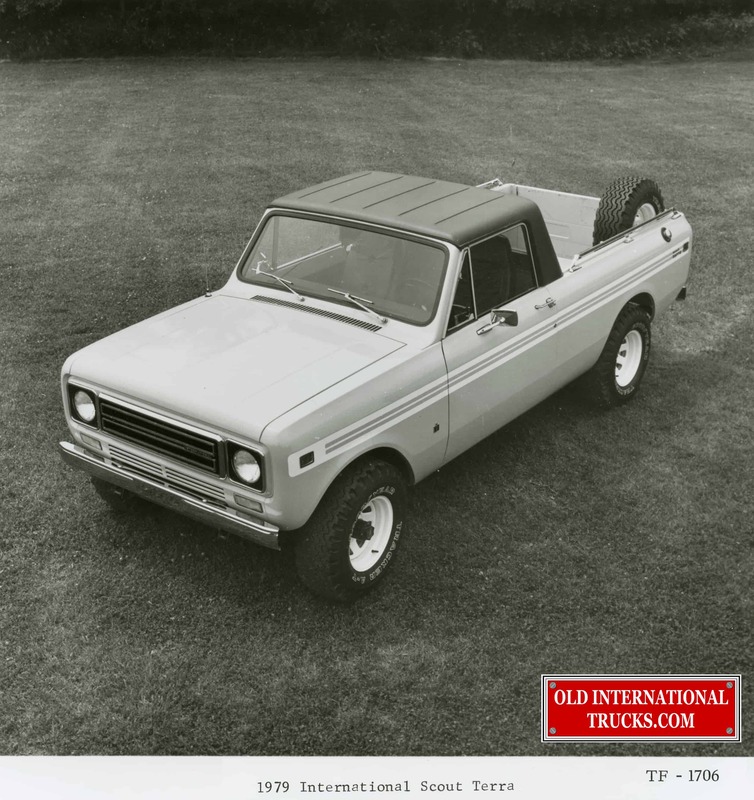 The 1979 international scout terra pickup handles loads up to 6,200-lbs. gross vehicle weight in a six-foot bed. there is 11 cubic feet of in-cab storage space behind the seats. four-wheel drive with locking front hubs and two-speed transfer case is standard on the terra. 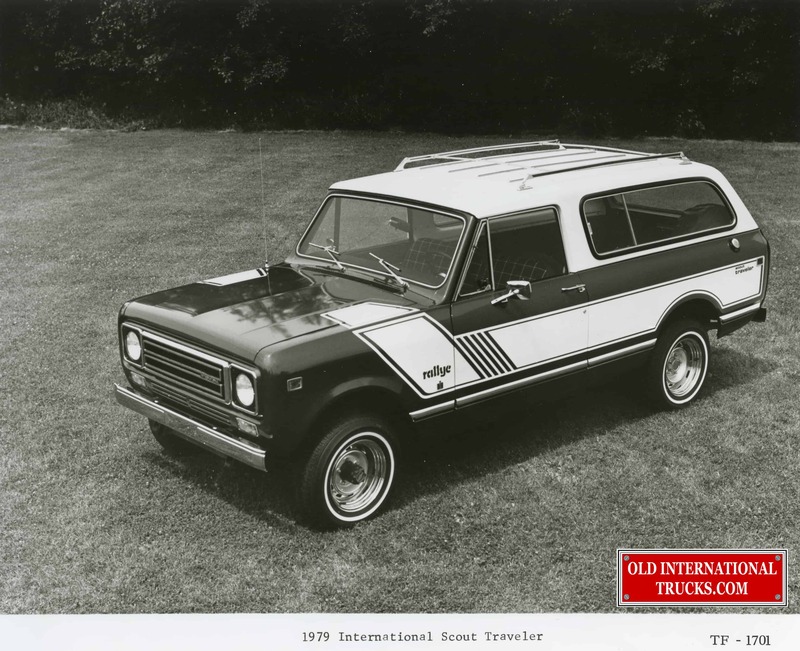 1979 international scout deluxe and custom interior packages feature a bright engine-turned trim on the instrument and air conditioning panels. all-vinyl seats have a raised "pillow" effect; nylon seats are also available. the optional front seat storage console lid has new beverage container and change holders. 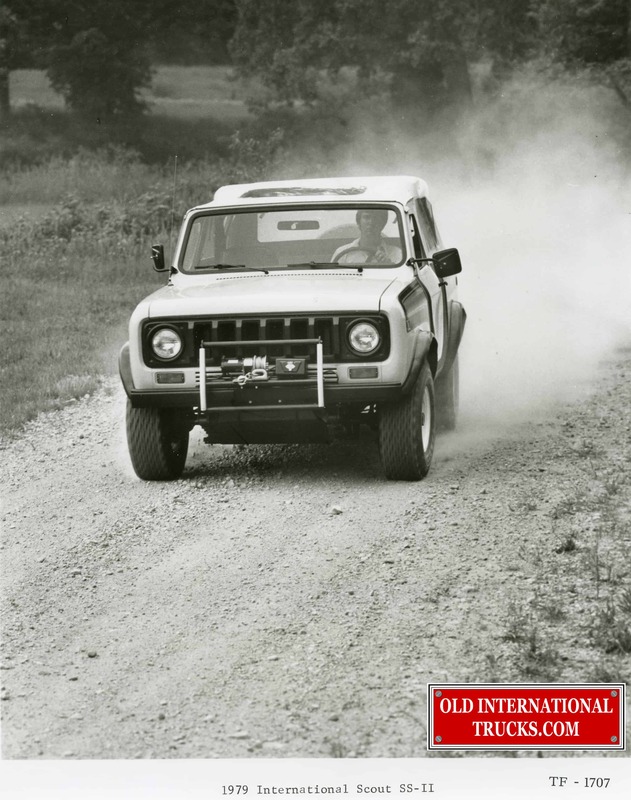 the 1979 international scout ss-ii is the scout designed for four-wheel drive enthusiasts who want to tailor their vehicle to their own specific requirements. the ss-ii has standard features including four-wheel drive, roll bar, and a fuel tank skid plate. it gives owners their option of passenger seating, a top and doors, and extra accessories. 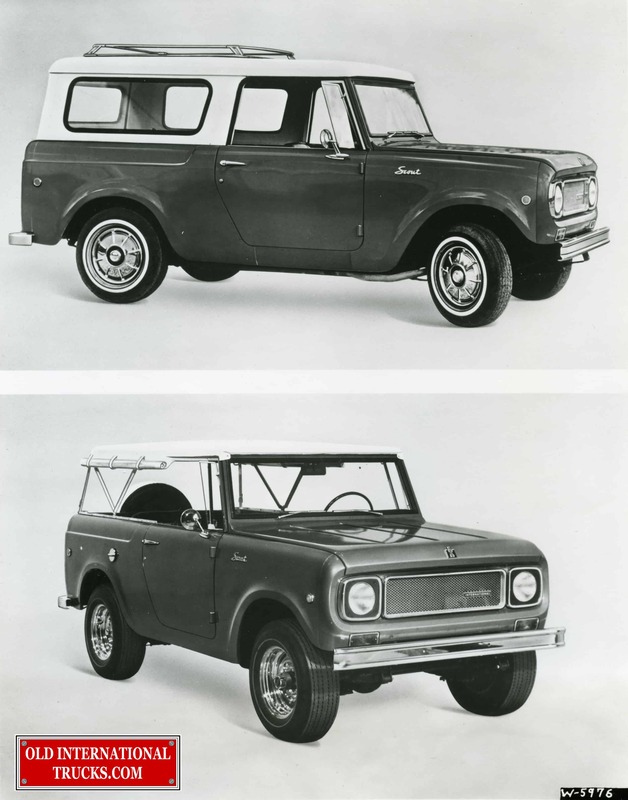 The 1979 International Scout II continues its reputation as a rugged versatile sport/utility vehicle. 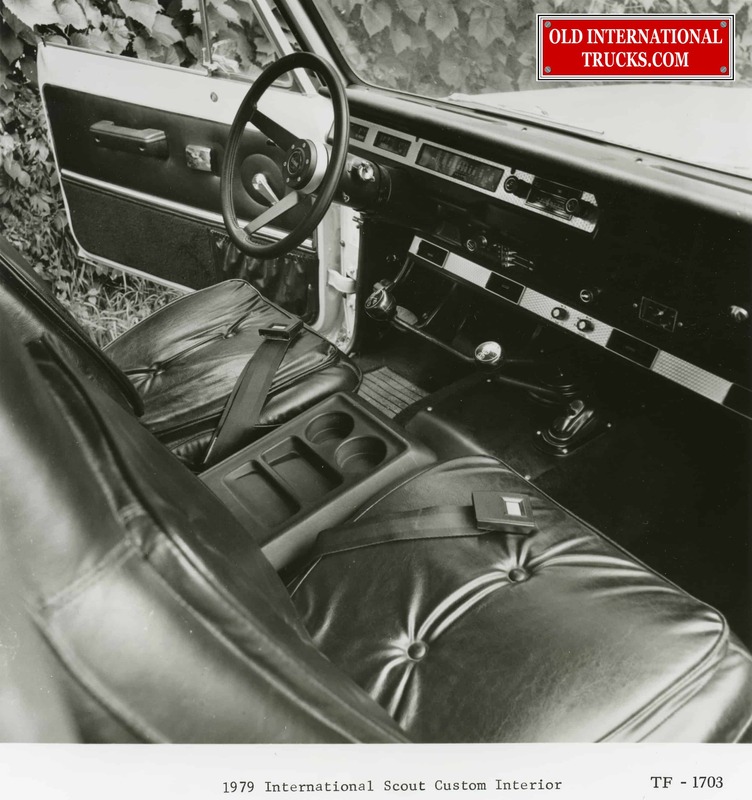 new interior trims and an extensive list of optional equipment and accessories are offered. scout engine choices include a four-cylinder and two v8 engines plus a six-cylinder diesel engine. 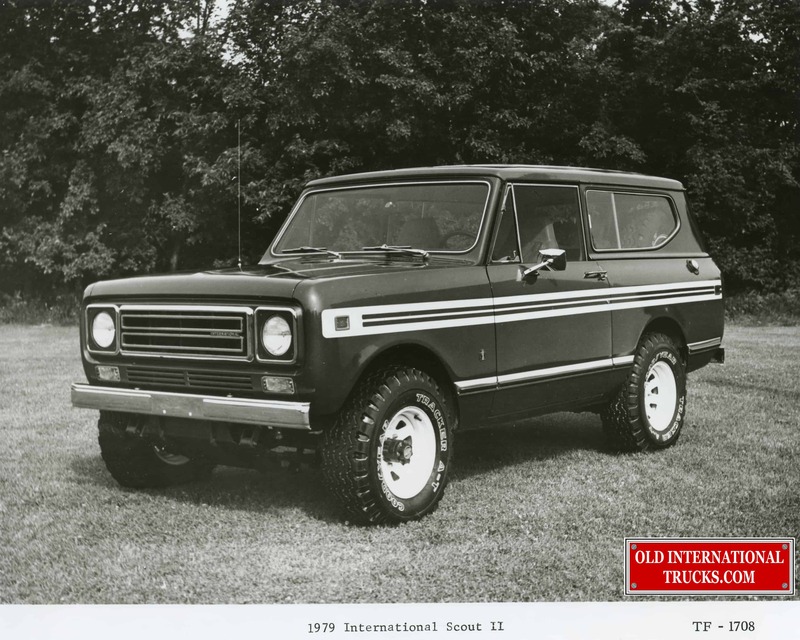 The 1979 International Scout Traveler has a long 118-in. wheelbases which gives it plenty of room for passengers and their gear. 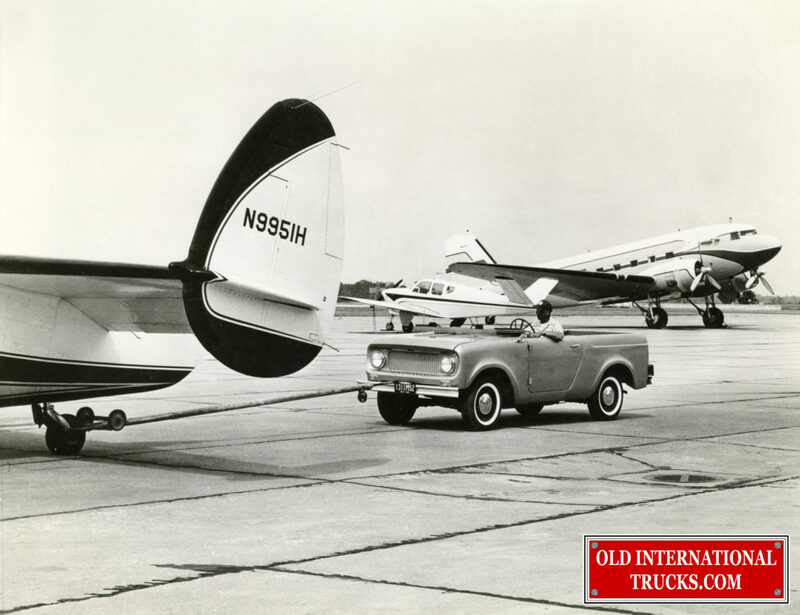 traveler's long wheelbase also gives it added stability for trailer towing. a rear hatchback opens easily with air-cylinder assist. 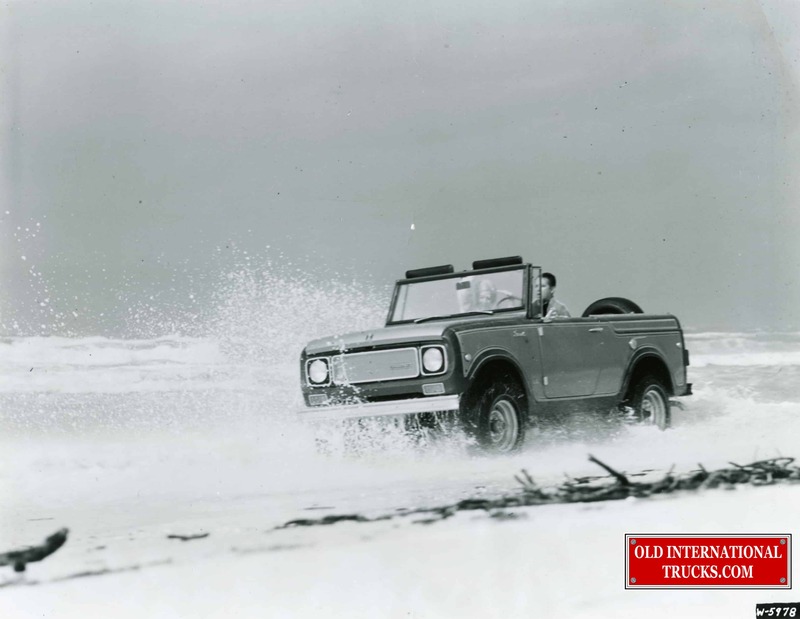 optional four-wheel drive provides extra traction in poor driving conditions. 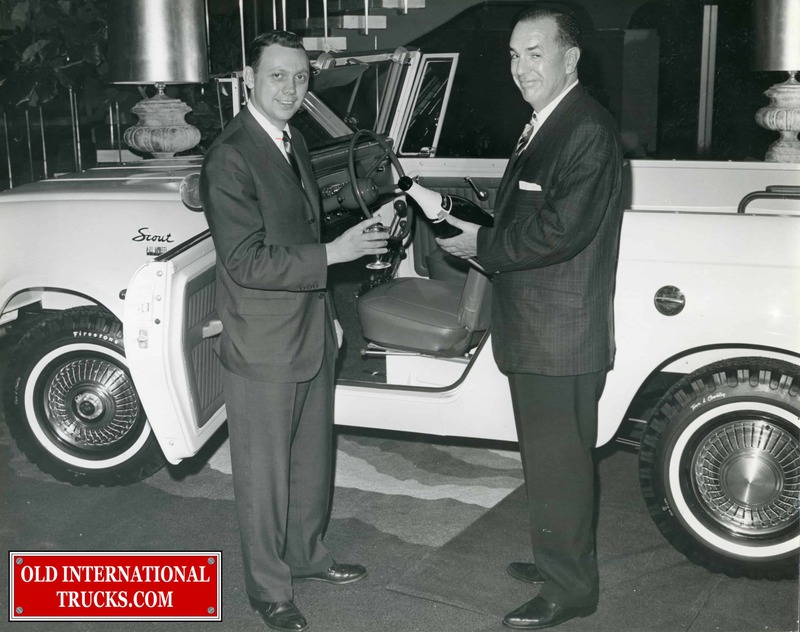 New International Scout 800a equipped with all-wheel drive, and powered by a 193-hp. v8 engine, has the power to negotiate the toughest off-road terrain. when specified with the optional t-39 transmission which offers the choice of automatic or manual gear selection, scout 800a models prove to be easy handing in city traffic as well. 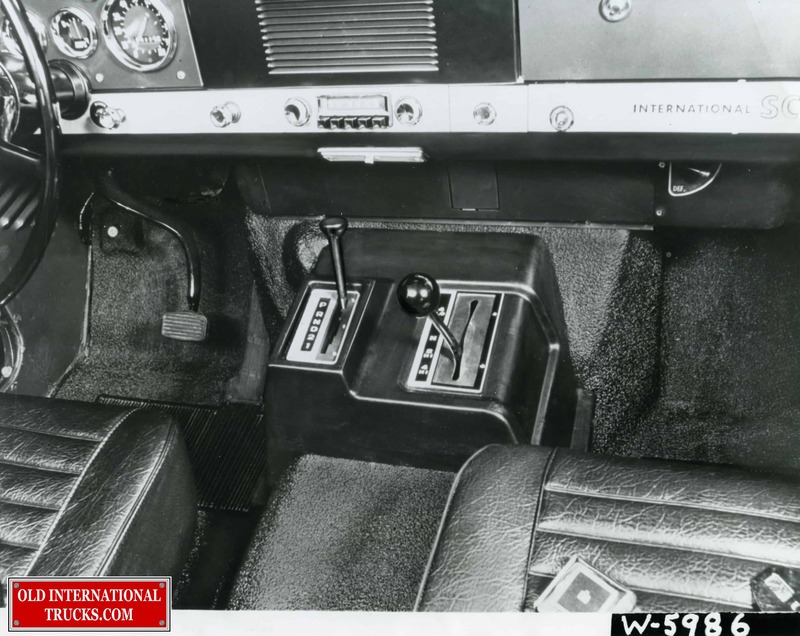 New for International Scout 800a models is this sporty "stick shift" transmission that offers a choice of automatic or manual gear selections. on the right is the recently announced single- lever transfer case control which simplifies changing from rear to all-wheel drive and back again.